Why bread at all? When early man began collecting seeds to eat and later farming grains a way to quickly prepare and eat the grains was needed. That was especially so for the hunter of the tribe who did not have the time to build a fire and cook the grain into a gruel. Bread was the answer; compact, durable and ready to eat. Almost all regions around the earth have a form of flat bread. Some is unleavened such as the tortilla of Central and South America. Bread has been part of human history for more than 4,000 years. Bread was prepared as early as 2500 BC in Mesopotamia, the fertile crescent, the land between the rivers and home of some of the earliest civilizations. From the Middle East the soft, slightly leavened bread spread across the Western Hemisphere. Similar breads can be found as Arabic bread, Lebanese bread, Syrian bread, and naan to name a few. I’m sure we would have to include pizza pie in the list as well. On particular variety, pita bread is baked in a very hot oven and that causes the bread to puff up making a hollow space between the crusts. 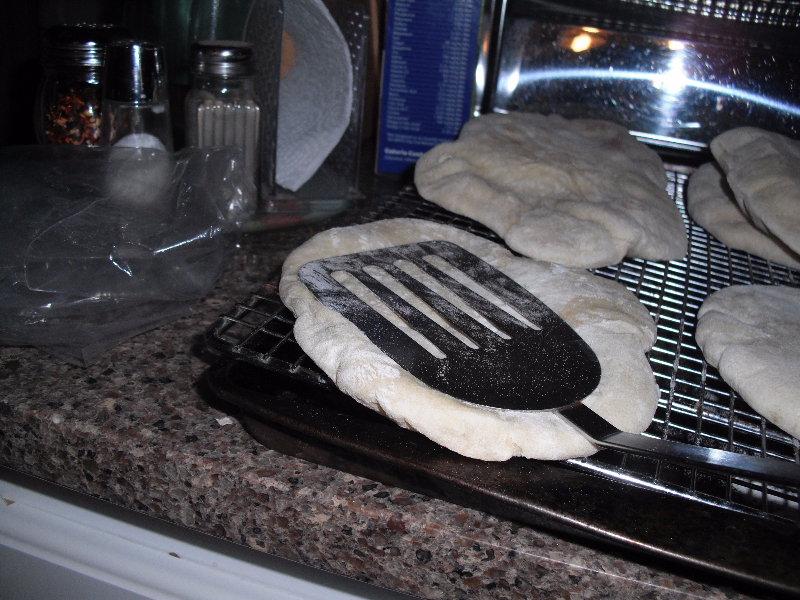 Pita bread was a popular fad food in the late 1950s and 60s because of that hollow space. Cut in two along a line of diameter, the bread made pockets for sandwich stuffing. It was a very popular for mothers to make sandwiches for their school-age children if not their husbands. 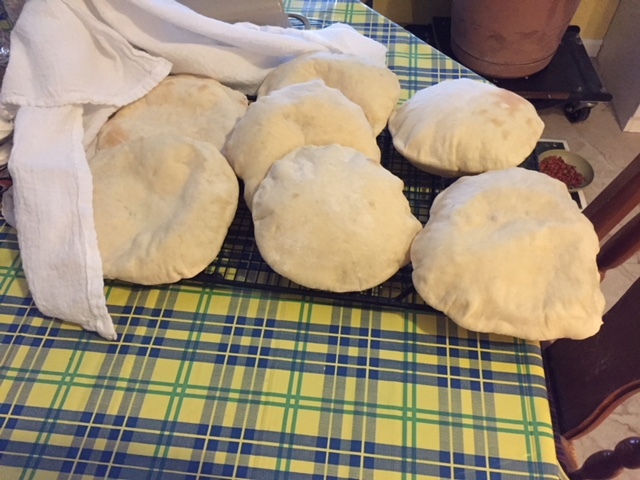 Although not as popular or widespread as it once was, pita bread is still with us and can be found wrapped taco-style around a gyro sandwich or cut half to make falafel pockets. 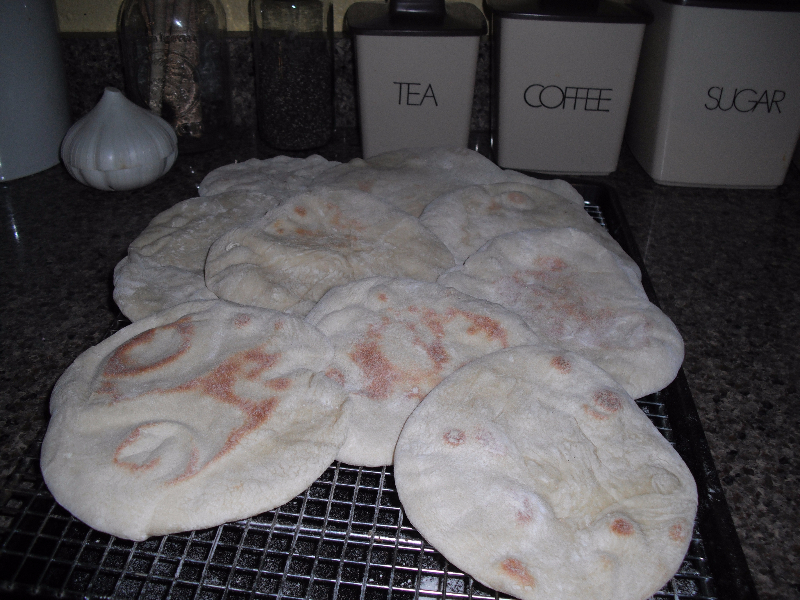 Bakery produced pita bread is very good but master the art of pita bread making and discover just how great it really is. Put yeast into ½ cup of warm water, add sugar and mix until dissolved. Set aside until you see bubbles. 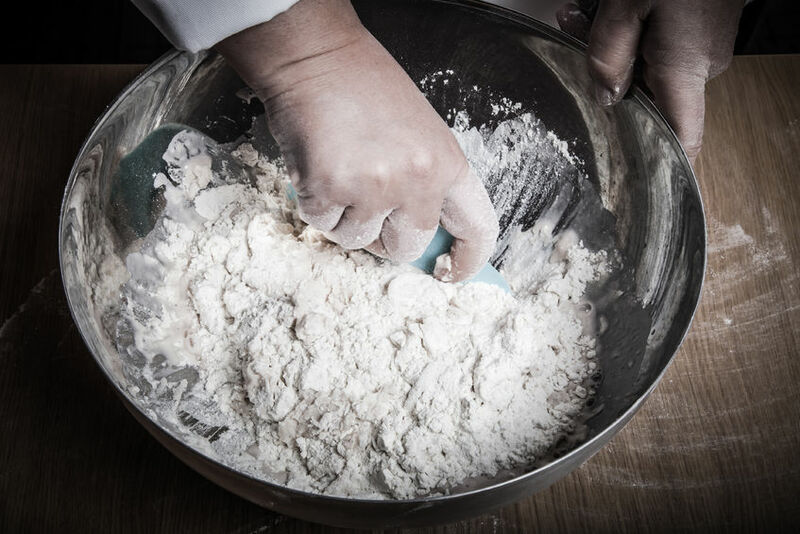 Combine flour and salt in large bowl, make a depression in middle of flour and slowly add the yeast mixture and 1 cup of warm water; stir with a wooden spoon until well mixed. 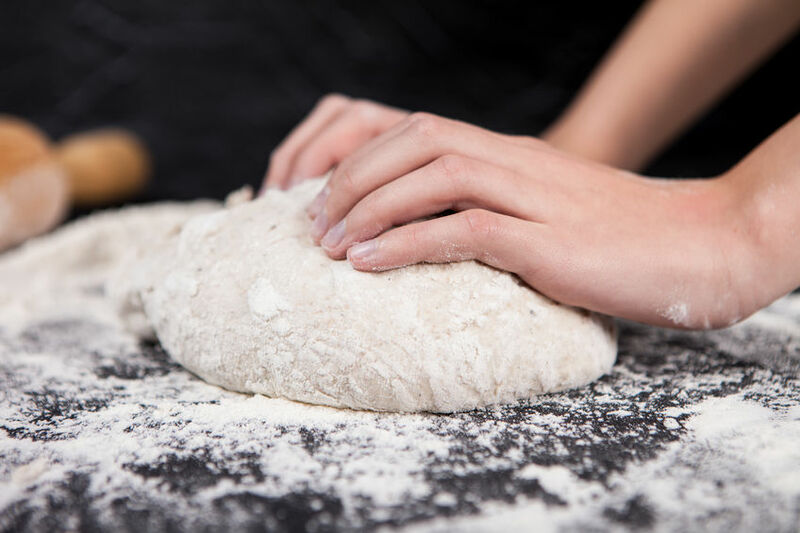 Put dough on a floured surface and knead for about 15 minutes or until smooth and elastic and no longer sticky. Coat a bowl with oil and turn dough in bowl to coat, cover and let rise until doubled in size, approx. 2-3 hours. Punch down and roll out into a long rope shape and pinch off about 10 pcs, all similar in size, roll into balls on floured surface, cover with tea towel and let sit for about 10 minutes. Preheat oven to 500°F and make sure rack is at the bottom of the oven; preheat your baking sheet as well. 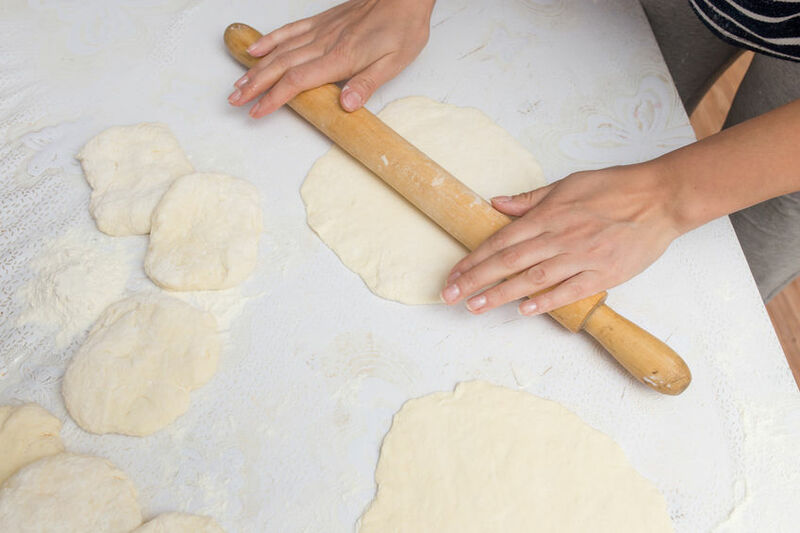 Roll out each ball with a rolling pin to a 5-6” circle about ¼” thick, bake in oven for about 4 minutes until bread puffs up. Turnover and bake for an additional 2 minutes, remove from oven and gently push down the bread puff with a spatula*, place still warm bread into storage bags. * This is a matter of preference, you can also press down the puff while still on the first side in the oven and again when taken out. 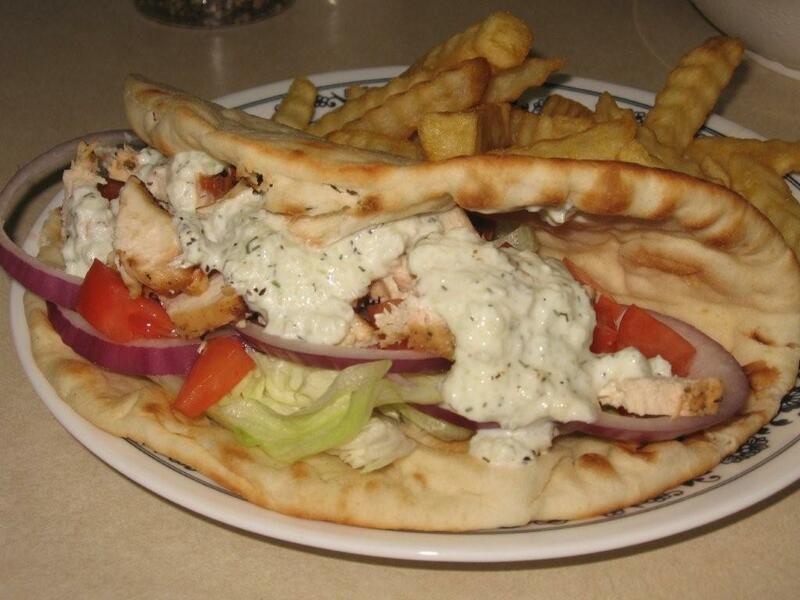 One cannot hear or say the words gyro, falafel, hummus, shawarma, or souvlaki without thinking of pita bread as well. Used either as a wrap or a shell, pita bread makes the perfect vehicle for many sandwiches. 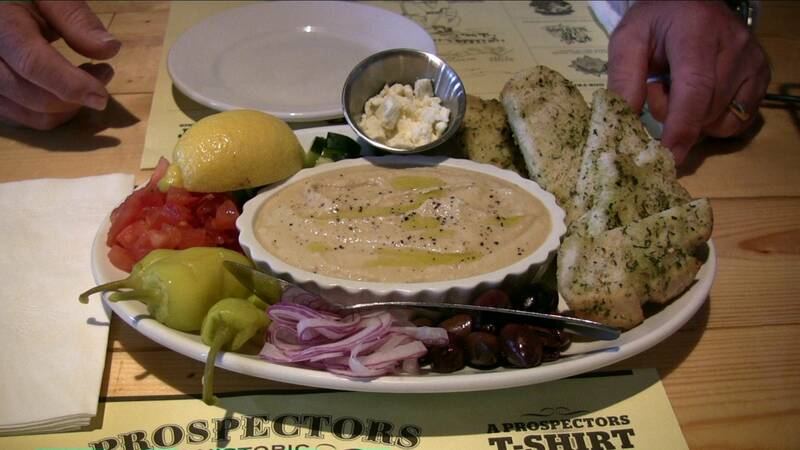 Pieces of pita bread are the perfect “chip” or scoop for hummus.